I give Mr. Schalk my strongest recommendation based on his knowledge, competency, listening skills and finally, taking on one of the biggest..
Attorney O’Grodnick has tried over 450 landlord-tenant evictions and over 100 civil litigation matters for my company and he has won nearl..
After being refused for over seven years, my request for an handicap ramp was finally allowed by my homestead association. Not before I cont..
At Savo, Schalk, Gillespie, O’Grodnick & Fisher, we regard the representation of our clients as an honor, a privilege and a steadfast responsibility. Our New Jersey business attorneys are committed to professional excellence in achieving our goal to provide the best legal services in a cost-effective, convenient and caring manner. Savo, Schalk, Gillespie, O’Grodnick & Fisher is one of the largest and most successful law firms in Somerset County in New Jersey with a distinguished history and pedigree coupled with the exceptional talents of its many diverse and capable attorneys. We are a full-service firm and are committed to serving the needs of business, government bodies and individuals throughout the entire state of New Jersey as well as New York and Maine. Our offices are centrally located at 77 North Bridge Street in historic Somerville, New Jersey in a charming Victorian building in close proximity to the Somerset County Courthouse. Our telephone number is (908) 526-0707. Savo Schalk has earned a high level of respect from judges and prosecutors alike because of our integrity and our degree of technical knowledge. The lawyers at Savo Schalk have developed a great reputation among fellow lawyers for our ability to work efficiently and pragmatically within the system to keep your client costs in check while achieving the highest possible value for your case. 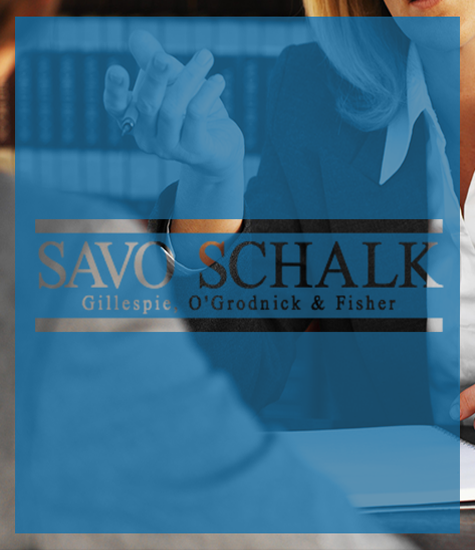 The attorneys at Savo Schalk have represented over 23,000 clients; including, municipalities, international corporations, local businesses, utility companies, municipal boards, families and individuals who have come to rely on our firm for quickly getting to the root of the matter in complex matters. Contact us today! We are here for you. After a multi-year battle with the Township of Franklin (Somerset), Mr. O'Grodnick prevailed after a..
By Resolution dated February 5, 2019, the Raritan Township Committee appointed Michael P. O'Grodnick..
Firm Helps Clients Save T.. Thanks to the excellent work of John Bracaglia, we have had good success in mortgage modifications. ..